Please note: I am not a doctor, nor a midwife, nor a nurse… I don’t even have a Ph.D. in motherhood yet. The following info, as well as everything on my blog, is not to be considered medical advice. Please, do your own research. Drumroll please! I’m proud to present my first harvested tincture. 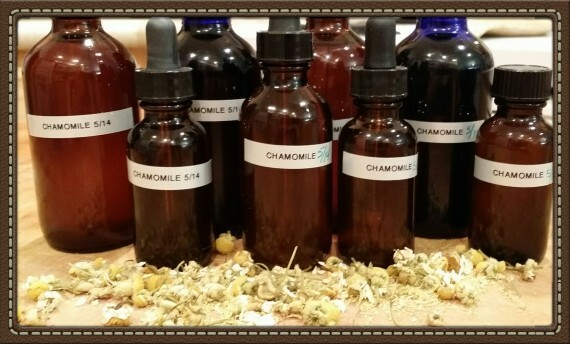 A simple chamomile tincture made of organic chamomile and vodka for relaxation, nervousness, restlessness, sleep, mild pain relief, inflammation, ulcers and digestion. More on chamomile’s impressive(!) health benefits here. I had no idea chamomile was such a super star. When I made the tincture it was simply to use for relaxation, but I soon learned its powers stretch far beyond just relaxation. A chamomile tincture is a great way to enjoy those benefits at home, on the road, or wherever. Cute labels to put on the tincture jar once the tincture is made. Or you can use a label maker (every household needs a label maker). 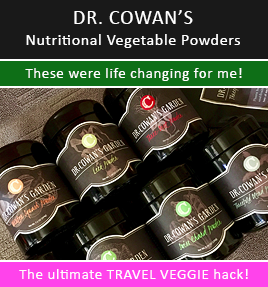 Fill the clean and dry jar of choice, with your dried organic herb or root, to about the 1/2 way mark of the jar or a maximum of 2/3 full with dried herbs (only fill the jar 1/3 full for roots because they expand more). Fill the rest of the jar with alcohol to the top. Put the lid on. Shake it up. Use a piece of masking tape to write the ingredients of the tincture (as well as its intended use), and tape it to the jar so you don’t forget what is in there. See my picture at the top of this post as a reference. Once the time has passed, use a strainer and strain the liquid from the tincture into a glass pitcher. Press out any excess tincture from the herbs. Bottle the your lovely tincture up in glass bottles with droppers. Label the bottles. Done! Some people say to store your tinctures while they’re steeping / brewing in a dark cool place and others say the tinctures are fine on a counter. I opt for a counter because I like to look at them, but they’re not in direct sunlight. 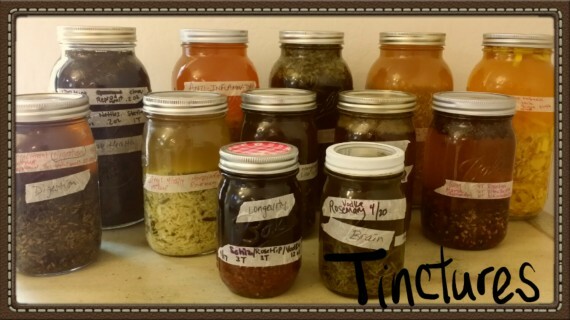 Tinctures can be as easy as using only one herb or a whole slew of herbs. I started with just organic chamomile, for my first tincture, to get my feet wet, and it wasn’t long before I had 10 jars brewing (steeping?) 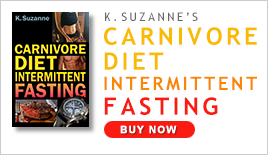 with various mixtures based on my research and health goals. I read multiple books by multiple authors (I’m especially fond of Rosemary Gladstar’s work), articles, and blogs about herbs this year and I made a useful chart featuring my health goals and the herbs that experts recommend for them. I will share all of my research for that in the next post – PART 2 which posts in a few days. You can make tinctures more kid-friendly by using vegetable glycerin (or apple cider vinegar) instead of alcohol but I haven’t tried that yet. Glycerin based tinctures don’t have the shelf life of alcohol based tinctures. Keep in mind that alcohol based tinctures, according to the experts I read, are indeed safe for kiddos (depending on the herbs or roots, of course) because you use such a small amount of the tincture for kids (more on that below). Also… you can put the kid-friendly tincture dose in a small amount of hot water to let the alcohol evaporate off, allow the mixture to cool, add some raw honey (if desired to improve the taste but no honey for kiddos under the age of one year) and serve. Or, you can buy kid-friendly tinctures like this one by Gaia which I recently purchased. Some people use a blender to blend the alcohol and herbs before putting them in the mason jar to increase the strength of the tincture. On that same note, when using roots, it’s wise to chop them, if possible. Some people put the herbs for the tincture in the glass mason jar, and then add a little filtered hot water to extract certain nutrients, then they add the alcohol. I have not opted to do that because it’s an additional step that I don’t feel compelled to do. Tinctures (most of them) are fine for pregnant and nursing mothers but you need to be sure the herbs or roots in particular are safe during those precious times. Talk with your midwife about that. For the best tincture benefits it’s recommended to put the tincture directly under the tongue for a few moments before swallowing and avoiding food for about 15 minutes (but that burns my mouth like a mother, or is that just me?). I usually just squirt it in a shot glass and add a wee bit of water or tea and then drink it down. Acute health problems: 1/4 to 1/2 teaspoon of tincture taken every hour for a maximum of 6 teaspoons daily. Reminder that this dosage is for acute problems and short term. Chronic health problems: 1/2 to 1 teaspoon of tincture taken 2-3 times daily for a maximum of 3 teaspoons daily. This recommendation also comes with a note to cycle the usage. Perhaps 5 days on and 2 days off or 2 to 3 weeks on and 1 week off. You’ll have to experiment yourself and seek professional guidance as needed. Treating children: if the dose for an adult is one teaspoon of tincture, then a child of less than one year old (2 to 5 drops), a child of 1 to 2 years (5 to 8 drops), child of 2 to 6 years (10-15 drops), and a child of 6 to 12 years (15 to 30 drops).